Hondo is a quality community, which possesses many desirable attributes. Gently rolling hills provide the setting for a quality lifestyle with an affordable cost of living. 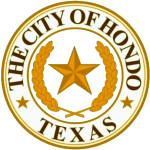 Excellent city services, outstanding parks and recreational facilities, safe neighborhoods, strong churches, and excellent schools all make Hondo an attractive community to consider as a place to live, work, or play. Hondo’s proximity to some of the State’s most popular tourist attractions, cultural activities and dynamic business centers provide convenient access to multiple experiences and interests. This proactive community is poised for development and welcomes business ventures that will complement and contribute to the charm of the City of Hondo. We offer a community that respects its heritage and an outstanding quality of life.